The educational activity of the International Master Eco-Polis is carried out in a total of 1,750 hours, divided into 580 hours of classroom teaching (lectures, seminars, workshops), 70 hours of distance learning, 800 hours of individual study and 300 hours of final internship, for a total of 70 credits. The course, during the period in Ferrara, is organized in several thematic training modules. Each module is organized in lectures, seminars and conferences, exercises, visits, presentation of case studies. Within each module the case studies and the best practices will be presented directly by social actors and by the protagonists. The didactic period in Ferrara ends with an workshop of at least two weeks. 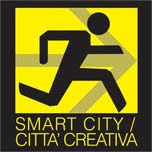 The workshop will be done in partnership with the Centro Studi Dante Bighi and will focus on the theme of Urban Creativity, being inside of the Program “Città della Cultura/Cultura della Città” 2013, which is being constructed together with private institutions and private subjects. A period of individual training (300 hours, equivalent to three months) in a host institution (universities, research centers, public and private institutions, public administrations, companies, professional firms, NGOs, cooperatives) on the basis of the recommendations and advices of the Director and of the staff of the Master course. Every year three workshops are organized. The first workshop takes place in Italy, at the end of the phase of theoretical training, the next two workshops take place in Latin America, for the duration of one month each. The quality of the commitment of the students during the workshops and their commitment during the training period constitute the final assessment test of merit for the assignment of the Master's degree. smart mobility, smart environment, smart people, smart living, smart governance.